What four-generation family owned business could possibly survive market upheavals, fluctuating production, and a world war? 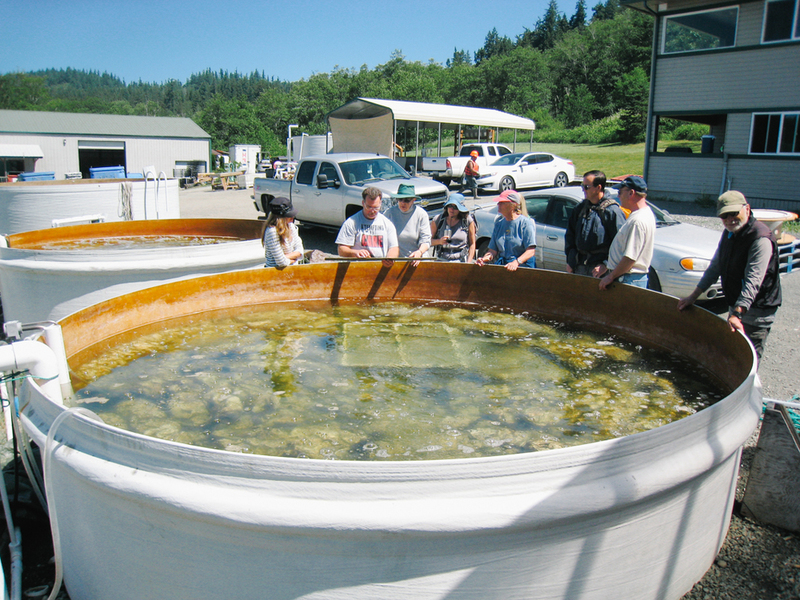 The Rock Point Oyster Co. has been cultivating oysters in Washington since 1922. In 1943, founder E.N. 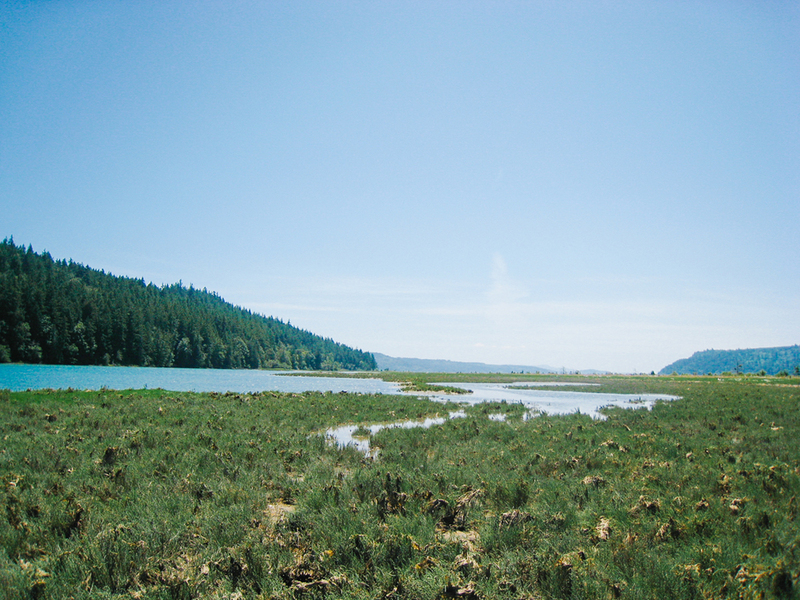 Steele purchased 200 acres in one of Puget Sound’s largest and healthiest salt marsh estuaries – Dabob Bay. 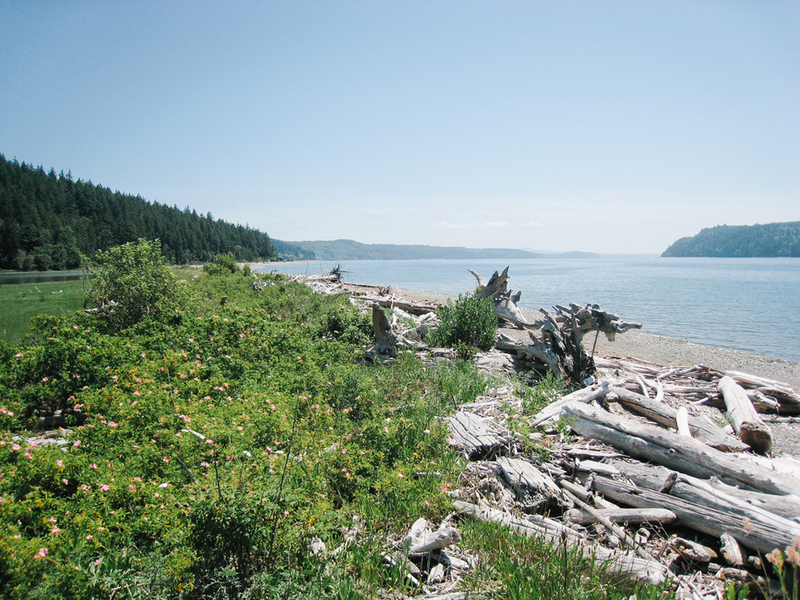 The Nature Conservancy has partnered with the Rock Point Oyster Co. for three decades to conserve Dabob Bay’s irreplaceable habitat on which orcas, salmon, forage fish, shellfish, and shorebirds depend. Steele’s grandson David (pictured in photos 6 & 7) has vastly increased production in recent years with water quality monitoring and other environmental investments that safeguard Rock Point’s sustainability. Last week, a group of intrepid volunteers headed to Long Spit, one of our protected areas, and monitored conditions, collected trash, removed invasive plants, and learned about Steele’s strategies to make oyster production and Dabob restoration symbiotic. For shellfish farmers, the ramifications of climate change are felt where it really hurts – the bank. David Steele taught us how young oysters (which look like quinoa!) cannot tolerate low pH and are dying off with increasing marine acidification. Algal blooms, one of the worst consequences of acidification, can be significantly reduced by healthy shellfish populations. Despite their sand-grain size, oyster larvae can consume an incredible amount of algae. Learning about Steele’s operation grounded our volunteer event with an appreciation of Dabob Bay’s ability to nurture abundant life, both human and wild. After the oyster lesson, our group took a barge to Long Spit, a gorgeous peninsula of beach created by Dabob Bay’s unique hydrologic cycles. 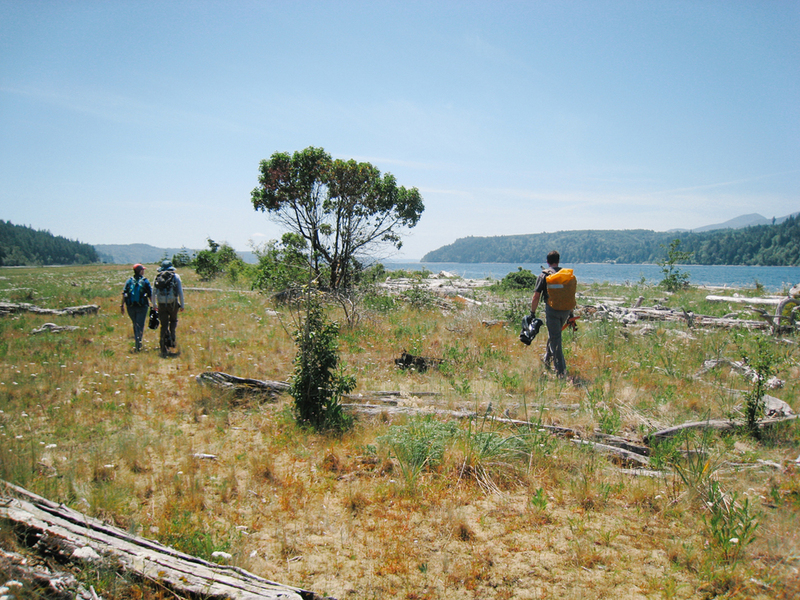 The spit has suffered from Scotch Broom invasion for years, so we focused on weeding out broom and other invasives. We also hauled out ten garbage bags filled with everything from plastic bottles to an abandoned tire. 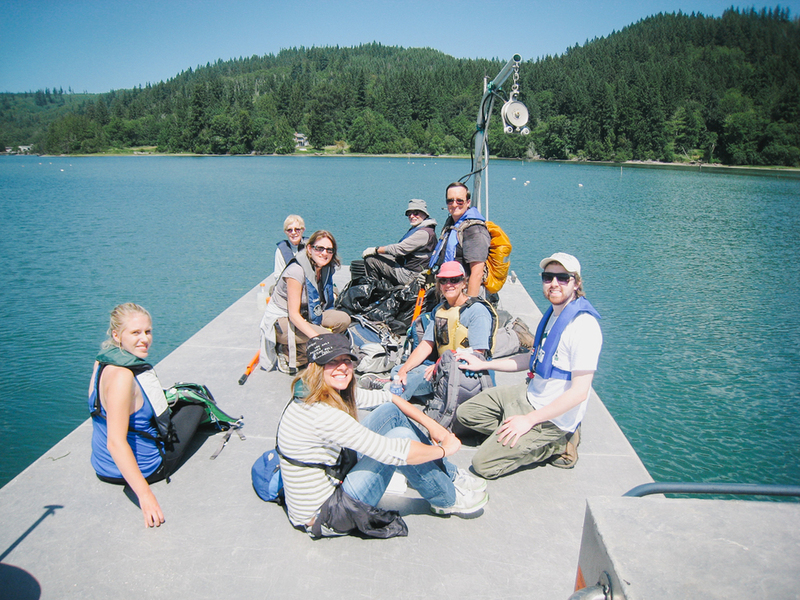 We are dedicated to maintaining innovative collaboration with partners like the Steele family to continue informed stewardship, and could not make our positive impact without our committed volunteers!